Discover stellar style with these chic star shaped crystal stud earrings. Set in elegant 9ct gold. 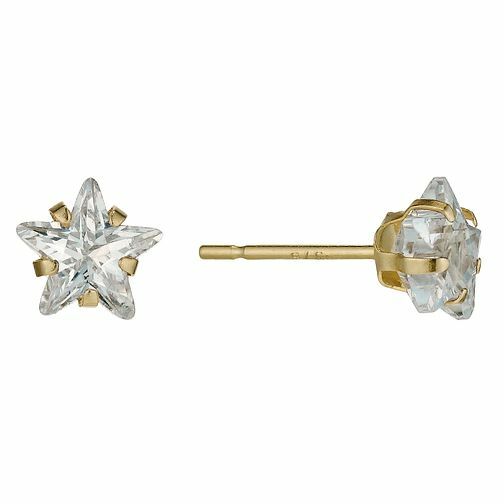 9ct Gold Cubic Zirconia Star Stud Earrings is rated 5.0 out of 5 by 4. Rated 5 out of 5 by Anonymous from very neat earrings I got these earrings for my 11 year old granddaughter for Christmas. she loves them and they are small and neat and look expensive. Rated 5 out of 5 by Anonymous from Beautiful Earrings Brought these for my 6yr old grandaughter & she was thrilled. Ideal size & great quality, thrilled with this purchase & would highly recommend.